You and I both know that clients play a significant role in your business. 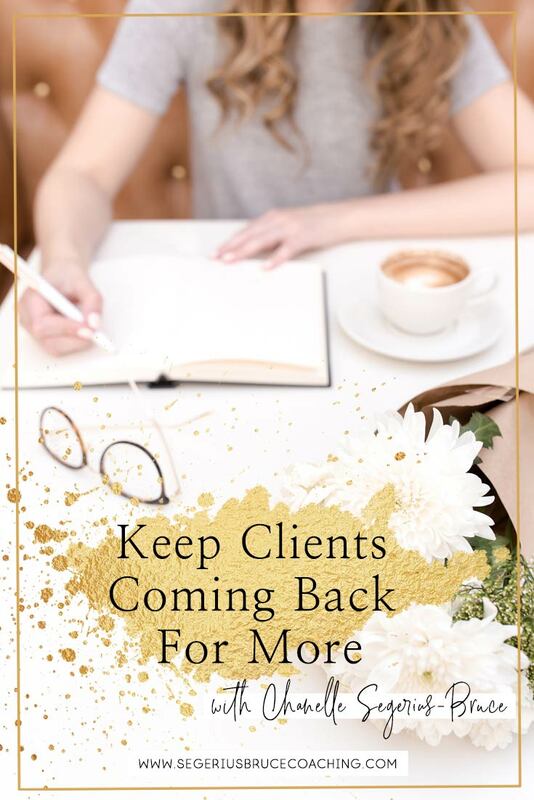 Without clients, you can’t survive. You have a business not a hobby! There’s the financial gain but, more importantly, you get to impact the lives of the people you serve and create a ripple effect in the world. 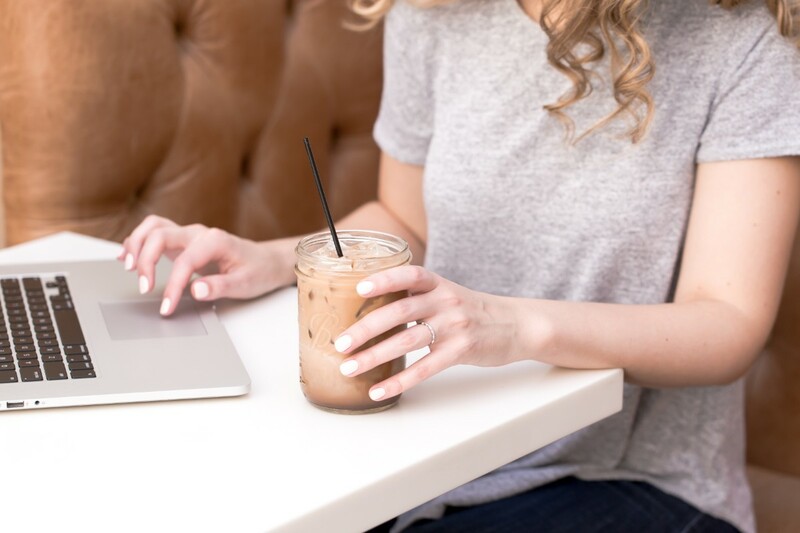 A good client base shows you that you’ve got a healthy business, but while you’re trying really hard to find new leads, you may overlook nurturing your current loyal customers. An interesting stat that I found on HBR (Harvard Business Review) is that it costs up to 25 times more to acquire new clients than to nurture the ones you already have. Don’t only work to externally grow your business when it’s better to nurture your current clients and see what more you could offer them. Here are some techniques I’ve learned over the years to have my clients coming back for more. When you start working with your clients you have set expectations in place. 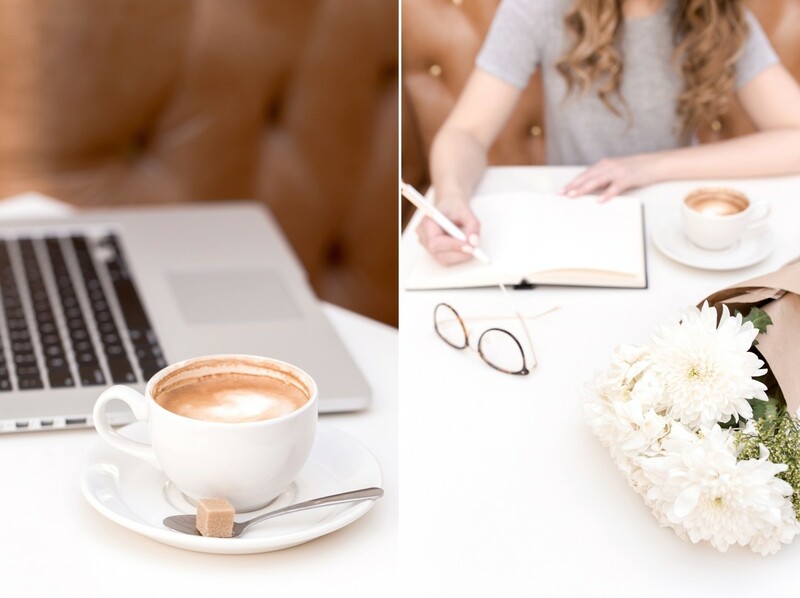 This could be a project deadline for a website design, delivering a wedding album by a predetermined date or saying that you’ll respond Monday to Friday within 24 hours to business coaching questions via Voxer (like I do). Here’s what I suggest, give yourself room to over deliver. If you say you’ll respond within 24 hrs, respond within 10 hrs. If a client purchases a wedding album, deliver it a day early and throw in a duplicate parent’s album with no charge for example. These little surprises will get them talking about you to others and you’ll come highly recommended growing your word-of-mouth referrals. 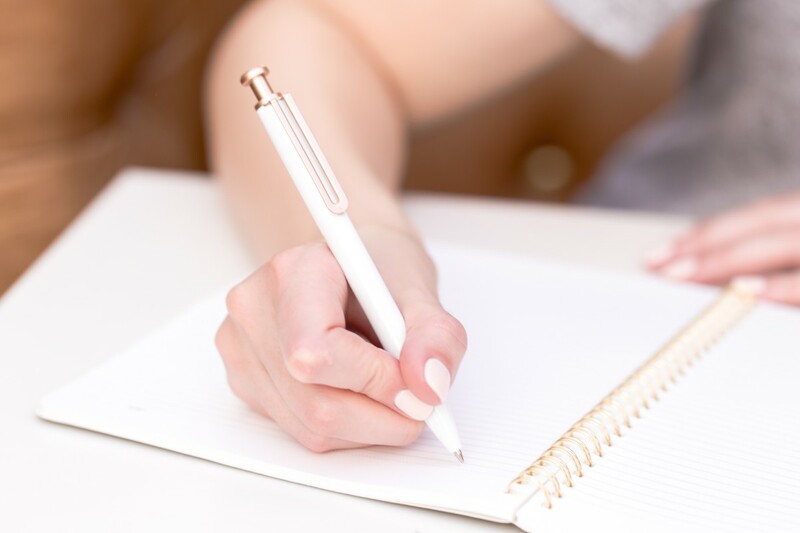 Add personal touches like a hand-written thank-you card when somebody signs up to work with you or you could send a small gift which will make them feel extra special. It’s the little things that go a long way in terms of building good client relationships. When stepping into the role of being a mentor or coach it’s really important to treat your clients with respect and deeply care about the results they are working towards while working with you. I’ve seen some coaches out there who seem to care more about the cash in the bank. The people joining their programs feel like just another number and not like human beings who’ve just made a massive investment financially and in themselves. Don’t make this mistake! Your clients have goals and want to grow their social following, make more money, or increase their client base. You need to support them by guiding them towards the goals they want to achieve through mindset work, giving them confidence and straight-up tactics and strategies that can be executed quickly. The key is to keep them accountable and constantly track results. Some days they’ll feel lost and you’ll be their shining light, pushing them to do better and helping them believe that it is possible for them. They need to feel that you truly care about how well they do. Plus, you actually have to genuinely care! If not, you shouldn’t be in the coaching / mentoring role. You’ll become their personal cheerleader, constantly motivating them to be better and that’s when the results will happen. Set Clear and Fair Boundaries. As a business owner, you may work late nights at times to meet deadlines and your client’s demands. You probably begin to feel frustrated especially when it’s 7 pm on a Friday and you could be firing up the bbq or watching Netflix with your family. You start resenting them, wishing you didn’t have to deal with this and you’ll blame them. This may show up in your communications with them. The thing is, it’s kinda your fault. Yes, you want to deliver excellent work for your clients to see them happy but bending over backward can do harm for BOTH of you! I suggest managing expectations with your clients and letting them know what your professional boundaries are right at the start. If you don’t take phone calls after 5 pm, let them know. Being upfront with your client might sound harsh if you don’t like confrontation, but being clear about this at the start of your relationship will help both of you in the long run. Stick to Deadlines and Let Them Know if You Can’t. Building trust with your clients is the key to retain them long-term. When you can’t fulfil a deadline it impacts how they view you because it makes you look unreliable and flakey. Life happens, you get sick, your kids get sick, your car breaks down and needs your attention – but that’s okay! Deadlines must take into account your personal and family needs so create ‘padding’ for unexpected issues. Add a few extra hours or days to the timeline you gave your client. Even with the best-laid plans, life gets in the way and you may be unable to meet a deadline. Let your client know about the circumstance as soon as you can! They’ll appreciate you to tell them rather than leave them in the dark. Treat Them the Same Way You’d Like to be Treated. You’re often a customer in many situations, for example, when you’re at Starbucks ordering a mocha latte or doing the weekly food shop, the people you interact with from the cashier to the manager are messengers of the brand. The way they treat you and make you feel will determine how often you support them in the future. Likewise, your clients are the same to you! Now, the reason you want to implement the golden rule of ‘treating others like how you want to be treated’ serves two purposes. First, you know how it feels to encounter good customer service. Someone simply greeting you with a smile can change your whole perspective on them! Look inward to see what you like and replicate that feeling for your clients. The second reason is that you’ll attract your tribe by being you through and through! Your tribe are people that have a similar energy, likes and dislikes as you and they’d love to do business with you. This makes it easier to please your clients because you’ll know what they want! Keep them in the loop. Let your clients know how their project is progressing. If you’re a coach or mentor, check in with your clients via voice note or email. Make them feel special and show them how much you really care about them. Sometimes you won’t be able to do everything in time. You could fall ill or your child picks up chicken pox and that’ll be your priority over your client. That’s okay! Don’t be afraid to open up to your clients and tell them exactly why you’re not able to complete what you promised in time. They’ll understand that you’re human just like they are, as long as you let them know. Keep a constant communication line whether it’s via email, text, or video, can show that they’re free to express themselves with you as well. I love using Voxer for all of my coaching client communications. Your client will also have issues that come up and you want them to be open towards you too.